Few writers can raise a smile to the lips after just one paragraph and have me snortling by the end of the first page. 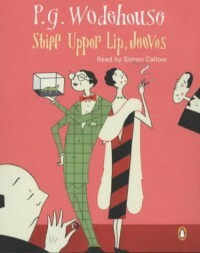 But then, P.G.Wodehouse remains an exceptional talent and in Wooster & Jeeves he created a rare literary tonic. Described by the Society (UK) bearing his name as “the greatest humourist of the twentieth century”, Sir Pelham Grenville Wodehouse (affectionately elided to ‘Plum’ by friends and family) has also retained the capacity to lift spirits into the new millennium. Clearly he was a writer of his time, replete with well-defined British social strata of the 1920's and 30's, but it is surely his ability to lampoon the elite classes and etch caricatures such as Bertie Wooster and Aunt Dahlia into the national consciousness, which is his greatest legacy. In this short novel, against his better judgement, Wooster is lured to Totleigh Towers, Gloucestershire, home of Sir Watkyn Bassett, to rescue the faltering engagement of long-term friends ‘Gussie’ Fink-Nottle and the daughter of the host – Madeline. This is not entirely an altruistic act, since Bertie has every reason to believe that should the betrothal not be realized, he may be expected to step into the breach in Madeline’s marital prospects. This is consequently a matter of paramount concern to Bertie, dwarfed only by the abject horror such a turn of events would visit upon Sir Watkyn! Thus, the familiar entourage is transported to the country, where ‘Gussie’, ‘Stinker’ Pinker, Roderisk Spode, ‘Stiffy’ Byng, Emerald Stoker, et al proceed to dispense the farcical social carnage, which generally accompanies their ludicrous interactions. And once again it falls to that paragon of calm, Jeeves (Bertie’s valet) to divine a course to preserve his employer’s bachelor status and simultaneously settle a whole series of potential disruptions. A wondrous spin through something akin to the Hatter’s tea party, but what a great time is to be had in this company!